Trading the Binary Options Zodiac – Second Half Of The Year! The Zodiac is one of those things that is remarkable accurate, I am frequently surprised to read my horoscope. It can be uncannily accurate. Trading based on your horoscope may not be an advisable practice but there is much to be learned by studying the stars. This is the second part of the guide into the signs of the Zodiac and how it might influence binary options traders. Click here for Aries to Virgo Binary Options Trading Signs. Libra – The Scales – Born for Trading Binary Options. Too bad not more of them choose to do so. The Libra is one of the most refined and sophisticated of all the signs, often choosing to trade gold or a major global stock index. The Scales seek to find balance in everything which is what makes them great binary options traders. They are also interested in the relationships between all things. A sense of balance and an awareness of interconnectedness combine to create a group of traders with an ability that borders on being a sixth sense. To be profitable a Libra must recognize that a market out of balance will soon return to balance and be able to act on that knowledge. The Scorpion is naturally drawn to trading but for some reason think it can impose its will on the market. 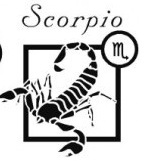 Scorpio can find trading very difficult to master because of it’s stubborn nature. If the Scorpion is able to overcome its stubbornness it can become a great trader but its secretive nature often gets in the way. If you know a Scorpio, remind them that they don’t need to control everything in order to be a success. Sometimes a good trading buddy is all the Scorpion needs to overcome any hurdles. My advice to you Scorpio, get over your self and join the forums, find a few friends and get to trading. 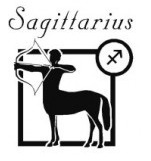 Sagittarius – The Centaur – a Mystical being with Powers over the Natural World. The depth of understanding a Sagittarius can achieve with the markets can sometimes make them appear to have a similar power. 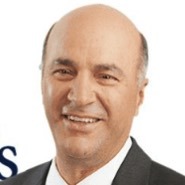 The Sagittarius are also among the most prolific of the options trading gurus, but they are true holders of knowledge and not run-of-the-mill charlatans. Their goal in life is to expand themselves and the community through knowledge and experience. The Centaur is frequently found on forums, offering and sharing advice with other traders. Centaurs are often involved with the best newsletters and other educational resources. A Sagittarius that can learn to trust their own knowledge is one that can become wealthy trading binary options. Capricorn – The Goat – The Goat is a Natural Bear. Those born under this sign are practical and ambitious, seeking the quickest way to success. Any Capricorn will tell you the sharpest and quickest moves in any market are down. This doesn’t mean that a Capricorn will only trade the bear side, just that they are quite good at it when it’s appropriate. The Goat is a hard worker and is not afraid to do the work in order to make a good trade. The ambition which motivates many Capricorns can lead them to make larger trades than the average pro but they do it with caution. My advice for the Capricorns out there; don’t worry about how much you are trading, take comfort in your preparation and trust yourself to make the right decisions when the trades present themselves. 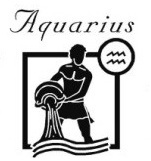 Aquarius – Water – a Sign Aloof and Detached. Preferring to watch from the sidelines traders born under this sign tend to wait and watch the day to day action and only act on the longer term trends. The Water Bearer is an intellectual trader, choosing to use a mostly technical approach to the markets, but can be unpredictable. Often times an innocuous piece of information could blossom into a thought that leads to a quick and profitable trade that most others would miss, or realize much too late. Aquarii are a self directed lot, when one decides to become a trader that is what is going to happen and they just don’t quit until it does. Water Bearer, keep on doing what you’re doing, be a guide to all those newbies out there and save me a spot on the fence, I like to sit and watch the market too. Pisces is supposed to be the most evolved of the zodiac signs and that may be the case. The Fish is a very intuitive sign and those born under it have a universal approach to life and are highly compassionate. 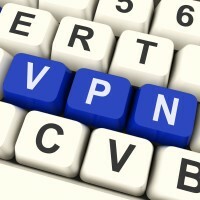 They enjoy time on forums but may not realize it is because of the people they are connecting with. As a trader, the Fish is also universal and not tied to any particular type of asset or trading style. It is hard for Pisces to teach others how to trade because their intuitive nature leads them to make decisions based on feelings more than understanding. My suggestion to you dear Pisces, learn to quantify those gut feelings because it will make you a much stronger trader. Remember! It’s always better to trust your common sense while trading rather than mystical beliefs. Well, I could be wrong. Well, maybe I’m just a Libra.